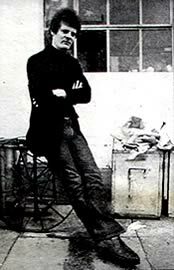 Although Paul Morrissey operated the camera during some of filming of The Chelsea Girls, Warhol actively participated in both the conception and actual shooting of the film. When Ondine slapped Ronna Page, Warhol was behind the camera for at least some of the scene. British artist Mark Lancaster was at the Factory when the scene was shot and remembers that Warhol took an active role during the filming. "I hung out at the Factory... and one day arrived as they were setting up a scene. I think the filming of The Chelsea Girls was mostly completed. This was early September. A set had been built to look like a small room, and in it was a kind of throne/bed for Ondine. I don’t remember how many people were there, but Andy was at the camera and he asked me to hold the microphone, just out of camera range at the side of the "set." The film started rolling... This girl... starts this "confession" dialogue with "Pope" Ondine, and after a few minutes she calls him a “phony”. I think the second time she says this, Ondine gets visibly angry, screams at her, throws a glass of Coke at her, then lunges towards her and starts hitting her. By this time I felt sure that this was not "acting," as it were. I was quite scared, and saw that other people were backing away. I put the mic down on something and backed away myself, noticing then that Andy had also done so, leaving the camera running. I think the girl ended up running out screaming." Like most of the people who hung out at the Factory, Morrissey was considerably younger than Warhol - ten years younger. He was born in Manhattan on February 23, 1938. Paul differed from many of Warhol's cohorts in one big way - he was against the use of recreational drugs. Paul was also not as promiscuous as many of the people who hung out at the Factory. In fact, nobody knew if he was gay, straight or neutral. Morrissey was raised in Yonkers with his sister and three brothers. His father was a lawyer. His brothers ran small independent construction businesses. He was educated by nuns at the St. Barnabas School for eight years before continuing at Fordham University where he majored in English from 1955 - 1959. (FPM 13) Like future Warhol star Viva, Paul was educated at Catholic institutions, but whereas Viva rejected the conservative morality of the nuns and priests, Morrissey seemed to embrace it. When Paul first joined the Factory in 1965, his initial duties included sweeping the floor (a Factory "tradition" for new cohorts), but he quickly got involved with helping Warhol make films. Prior to his involvement with Warhol, Paul had made his own short films. One of the shorts he made while a senior at Fordham University starred his college friend Donald Lyons who would also become part of the Factory crowd. Paul's moral attitude against drugs did not prevent him from filming people taking them. One of his early shorts showed two junkies shooting up - a theme he continued later when he directed Andy Warhol's Trash in which both Joe and Holly are shown injecting drugs. Morrissey showed his short films in a small underground cinema he operated from a storefront in 1960 at 36 East 4th Street in the East Village of Manhattan. He would also show films by other directors, often borrowing them from the New York Public Library. One of the films he showed was Brian DePalma's first short film, Icarus. The police closed his makeshift cinema after a few months and Morrissey ended up first working for an insurance company and then the Department of Social Services. The first Warhol film he saw was Sleep, which premiered at the Gramercy Arts Theater on January 17, 1964, where it ran for three days. Paul was friends with the projectionist - Ken Jacobs - who would later film the underground classic, Little Stabs of Happiness. Paul left the screening of Sleep after a few hours, unimpressed by the film, and didn't see another Warhol film until more than a year later when he attended the premiere screening of Beauty No. 2 (paired with Vinyl) on July 12, 1965. It was at that screening that Gerard Malanga introduced Morrissey to Andy Warhol. Morrissey's double screen projection of More Milk Yvette was not the first time that the technique had been used. Warhol had previously utilized double screens for the Edie Sedgwick film, Outer and Inner Space. 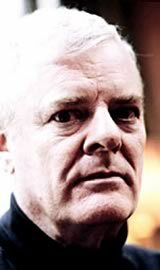 By the time The Chelsea Girls was made the following summer, Morrissey had begun taking a more active role in Warhol's filmmaking, effectively replacing Chuck Wein whose influence had diminished when Edie Sedgwick split with Warhol. Wein went on to work on the non-Warhol film Ciao Manhattan starring Edie and would also direct Rainbow Bridge featuring Pat Hartley who Warhol had shot for a Screen Test. Wein's role in the conception of Ciao Manhattan is noted in the end credits of the film which say "Black and white sequences are based upon a story by Chuck Wein and Genevieve Charbin." After The Chelsea Girls, much of the footage that Warhol and Morrissey shot was included in **** (Four Stars) or The Twenty Five Hour Movie. Many segments of **** (Four Stars) would later be released as separate films including Imitation of Christ and The Loves of Ondine. Paul Morrissey had come up with the title for The Loves of Ondine. Ondine was an opera fan and there was an Italian movie called Loves of Bellini at the time, so Paul changed "Bellini" to "Ondine" (JOE48).